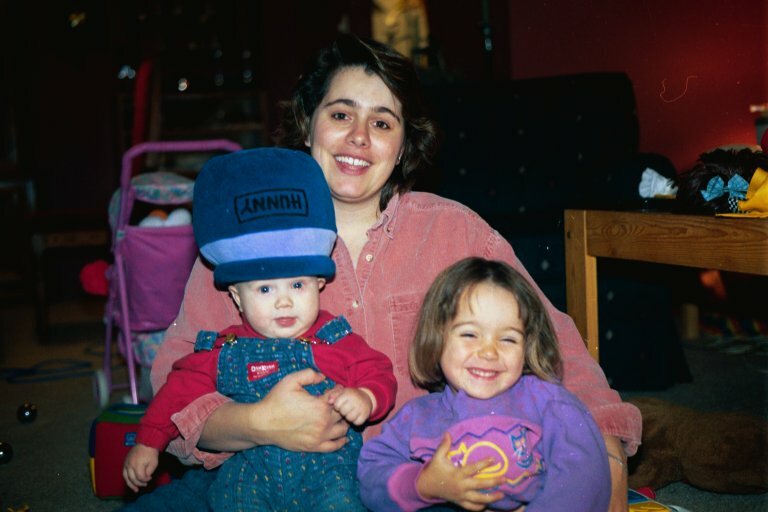 Happy family (Dad's taking the picture, November 1998, age over 21, almost 3, and 6 months. 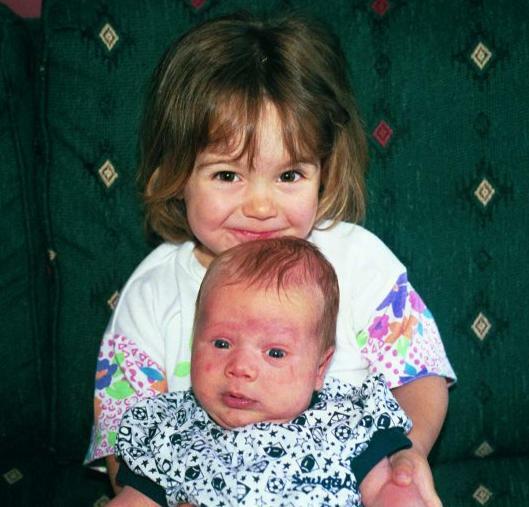 Our two happy kids, June 1998, age 2.5 and about 5 weeks. Our first great accomplishment that we're inordinately proud of. Our second great accomplishment that we're inordinately proud of. Our third great accomplishment that we're inordinately proud of. Our children suffer from a terrible disorder.